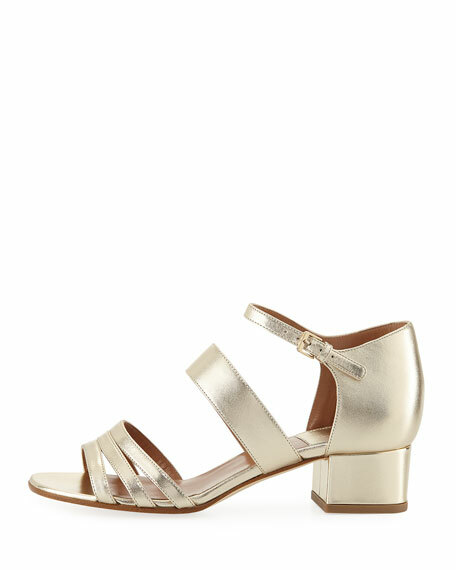 Laurence Dacade metallic calf leather sandal. "Nanou" is made in Italy. Carrie Forbes "Adam" hand-woven raffia slide. Flat stacked heel. One-band vamp with tassel. Slide-on style. Leather outsole. Made in Morocco. 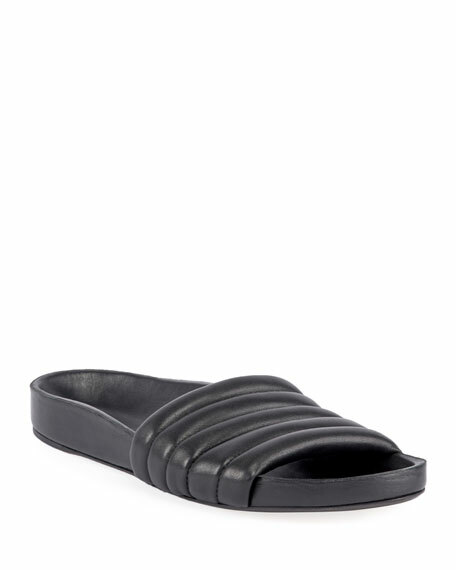 Isabel Marant "Hellea" pool slide sandal in quilted lamb leather. Flat heel. One-band upper. Molded insole. Rubber outsole. Made in Portugal.